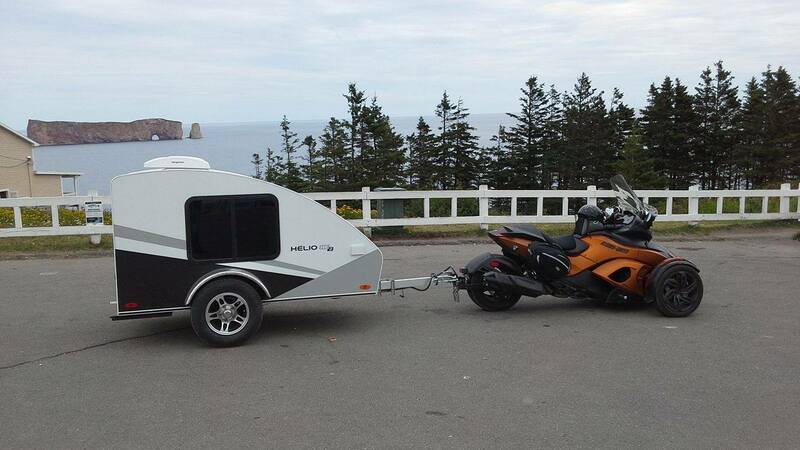 No problem towing this travel trailer with my three wheeler Can AM Spyder RSS. The trailer is very well balanced and it does not move on the road! Thanks to the team Helio!